You wouldn’t imagine this combo working very well. As were often told, pair something loose alongside a fitted piece. I had originally thrown on the usual skinny jeans and a sweater. Then I thought, it’s not every Sunday you get to meet up with your gals and enjoy morning pastries. I’ve been hanging onto these jeans since high school. 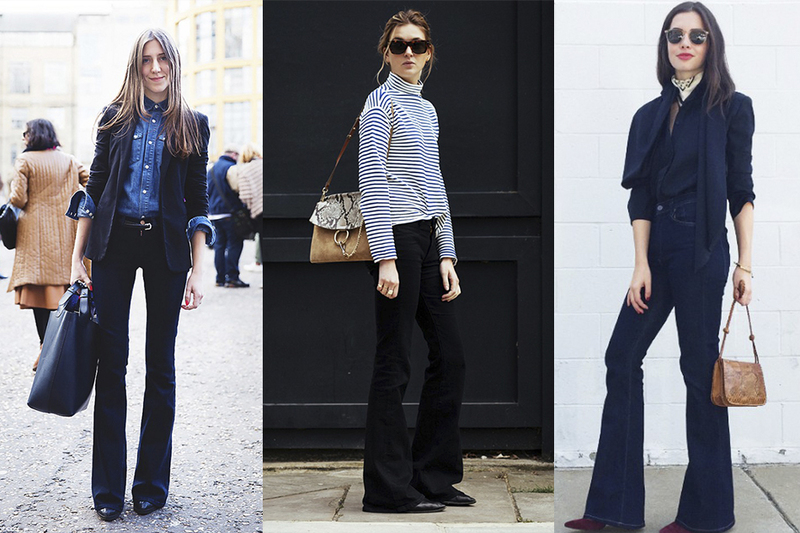 I knew I wanted to start wearing them again with the rise of the flares trend. A great way to remember to wear a piece you’ve been neglecting is to hang it front and center in your closet, giving you a little tap on the shoulder each time you pass by. 1. Add heels or a heeled boot. 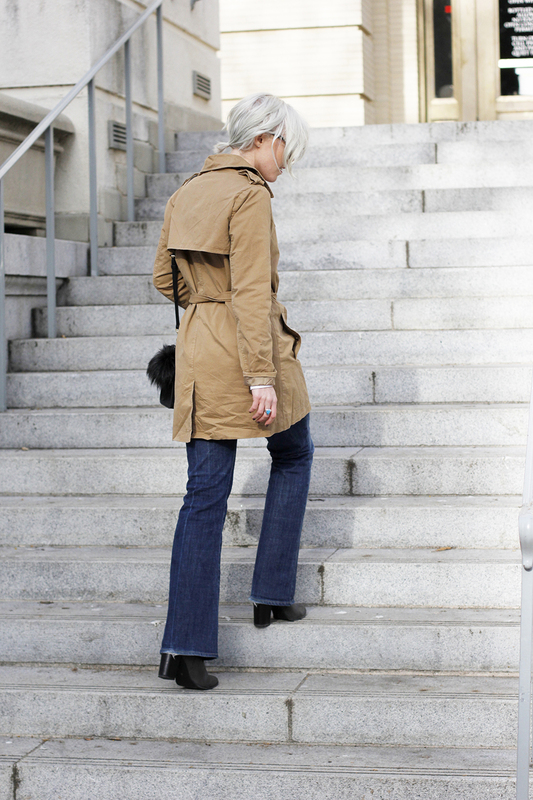 Flats don’t often work unless you have the perfect pant length or you’re willing to drag your jeans on the ground. 2. 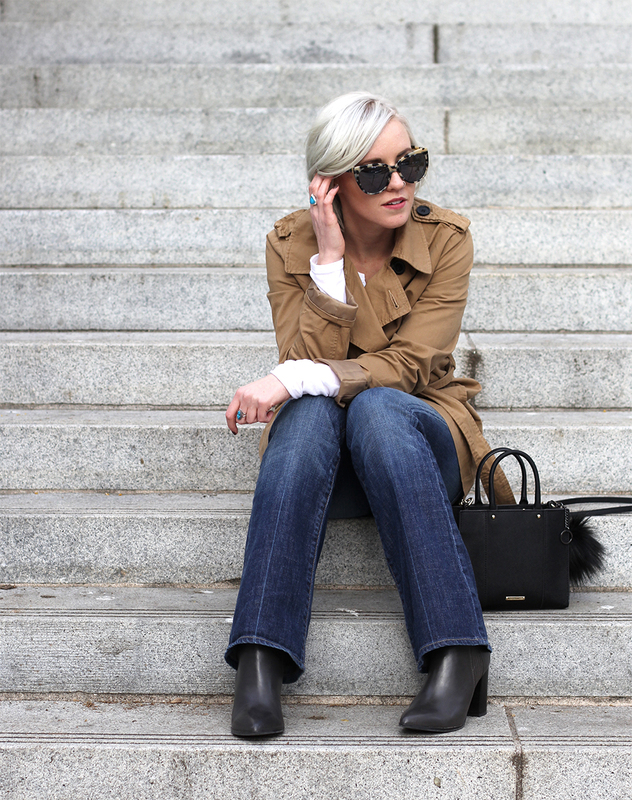 Go for a pointed toe boot or pump. 3. Dark colored shoes work best. Try to keep within the same color scheme as your pants. This will elongate the leg. 4. Pick a classic piece of outerwear. 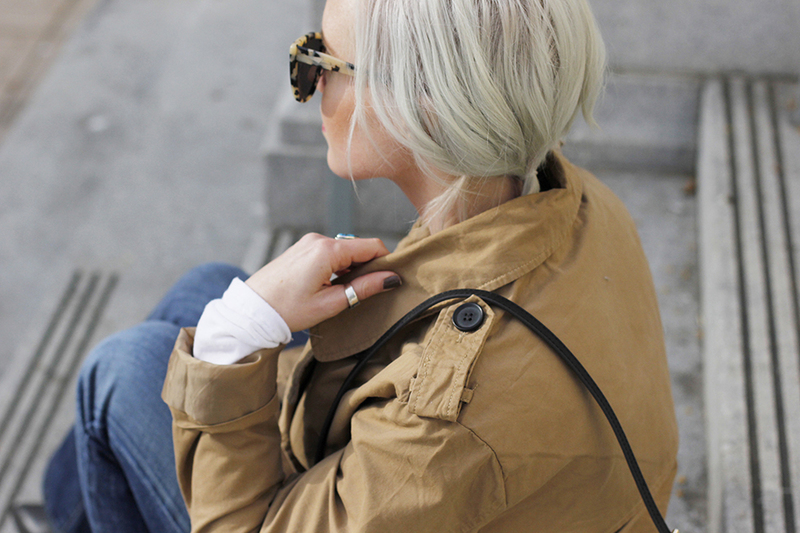 I went for the trench because they never go out of style. 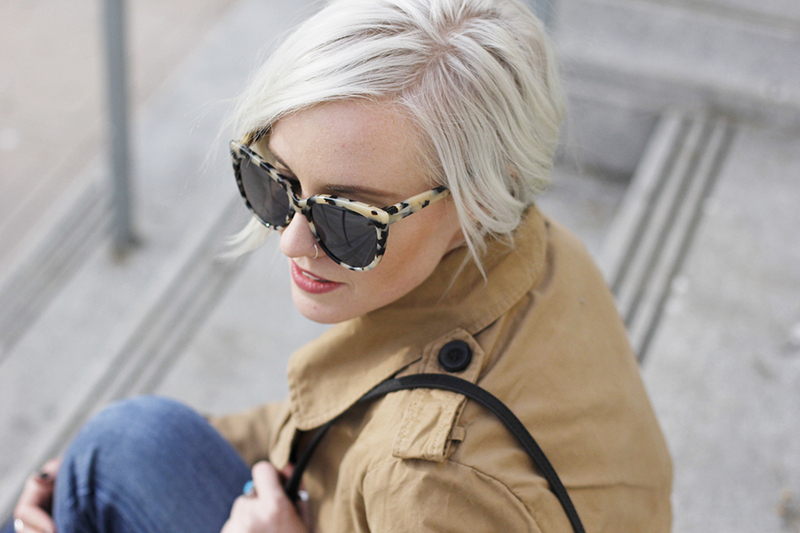 A pea coat or cropped denim jacket would also do the trick. 5. Go v-neck, crop top or button up. I’ve seen these 3 tops look stunning with a mean pair of flares. 6. For your top, try classic stripes, your favorite white tee or an a layered open plaid button up. 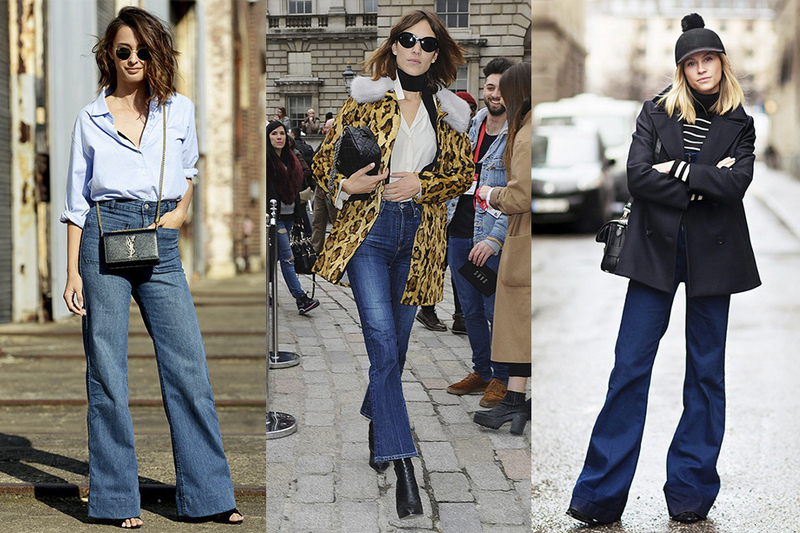 Absolutely love that flare jeans are back in fashion! Also, that bag is absolutely fabulous.